Building Information Modelling (BIM) is trouncing hundreds of years of accepted norms within the built environment. 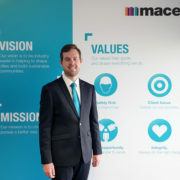 The true revolution has started and Dylan Rishworth, who is heading up the BIM and Digital Strategy at Mace Management Services (Pty) Ltd, part of Mace Group gets it! Rishworth and the Mace team are true leaders of the BIM revolution and are commanding their fields. He tributes this refreshingly tech-savvy approach to project management to the corporate culture at Mace, not only in South Africa, but across the globe. What is BIM to you? Building Information Modelling (BIM) is a set of technologies, processes and policies enabling multiple stakeholders to collaboratively design, construct and operate a facility in virtual space. It’s a different approach to collaborative working – a smart way of thinking. As a term, BIM has grown tremendously over the years and is now the ‘current expression of digital innovation’ across the construction industry. “People have lost sight of the fact it is not purely about having a Common Data Environment, it’s about having a collaborative connected work space. It should be a combination of software and workflow that is used to ensure effective and accurate exchange of information within the project. Many CDEs have become common filing cabinets and these solutions greatly hinder and slow this workflow as they are not willing to be connected between different software systems and would rather tie you in to one ecosystem. We should be looking for greater clarity, better integration and communication, productivity gains and ultimately better efficiency,” continues Jon Harris. South Africa (and the continent as a whole) has been slow to embrace using Project Managers (PMs) to coordinate BIM projects, but it is in fact a perfect fit. “PMs help clients achieve their objectives for on-time delivery, within budget, at optimal quality, with zero accidents, optimised operational (or lifecycle) cost and reduced environmental impact and technology. BIM balances all these objectives and promotes stakeholder engagement, throughout the project,” according to Vaughan Harris, Executive Director of the BIM Institute. 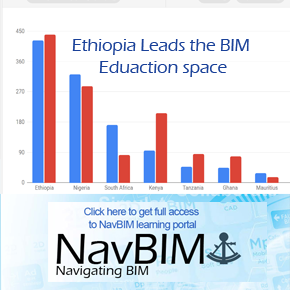 “Strict governance is the foundation of Mace projects, and BIM as a tool ensures this. There is nowhere to hide sloppy work in a BIM project. All data is tracked and there are no shortcuts in the process. If somebody doesn’t do their job correctly and to spec it is guaranteed to come to light down the line when it has a knock-on effect. The client is paying to have his project done professionally, and BIM quickly unveils any service provider that comes up short,” ensures Rishworth. The first question the project manager must answer for the client, is if BIM should be used on the project, and why it should be used. The answer relates to the client’s control of scope, time, costs, quality, safety and sustainability on a project, ensuring the client gets value for money, and that their risks are being effectively managed. This is compounded by the benefits BIM can provide from a Facilities Management point of view. PMs act as the client’s advisor and proxy. They are engaged from the outset to implement the control mechanisms and governance that influence the direction of the project team in the fast-paced effort to achieve the project objectives. With 36% of projects failing to deliver on the initial KPIs (Key Performance Indicators) due to failed communication, poor information, and lack of focus, a PM running the BIM processes on the project is an invaluable tool, and the best way to achieve the cost and time savings promised by BIM practitioners across the globe. Mace is proof of this, successfully running its global enterprise on BIM processes. This is not a company that dabbles in BIM and does just enough to be compliant, its UK BIM Champions sit on the boards and are members of the groups that are driving BIM compliance from level 2 to level 3 and beyond. With its UK and Dubai offices offering engineering, architectural, project management and cost management services, the company lives and breathes innovation and BIM underpins this. Its motto is “Pursuit of a better way,” and it has, with BIM. 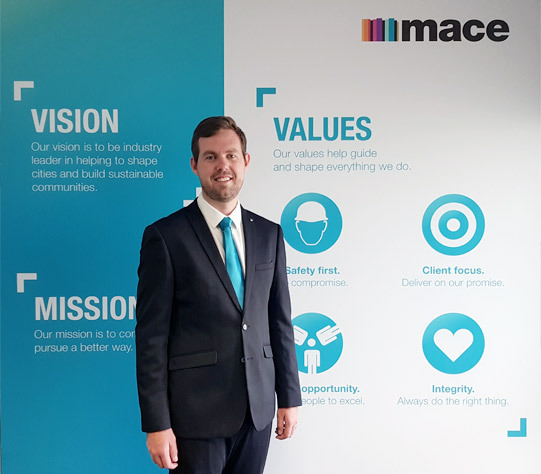 Mace developed training modules to educate and instruct Project Managers and Technical Advisors within the organisation thus increasing BIM awareness and facilitating BIM requirements. This decreases project costs and improves the company’s service quality. Producing information that is poorly co-ordinated, unnecessary, confusing, unstructured and difficult to find adds 20-25% to the cost of our built environment. Having greater integrity and taking more care in the way we structure our data can eradicate this waste from the process. Greater clarity will give us improved levels of efficiency leading to time and cost savings. This approach requires more discipline, not more work. Mace’s Australian and African branches focus on PM and Cost Consulting services, but this does not preclude them from working “the Mace Way.” This means working from a central source of truth, on a CDE (Common Data Environment) defaulting to shared data and working collaboratively. This makes them uniquely set up to extend these practices and resources to include every member of a project team should they require (or prefer) BIM compliance. The Innovation teams from all Mace’s offices around the globe have call-in meetings at least once a month to share insights and lessons learnt on ongoing projects, and these resources are available to be tapped whenever necessary. The company’s sub-Sahara African offices (in Johannesburg and Cape Town) use Autodesk Navisworks and Oracle Primavera for their BIM processes, as they oversee the projects and costs without doing the actual design, although they also have the software and hardware solutions to plug into design software as necessary. Rishworth points to the advantages that BIM offers the client, and the importance of having a member of the team that is client facing and can strip the BIM process (as well as the rest of the construction project) of the inevitable jargon and explainthe progress and any snags in layman’s terms. He sees the BIM outcomes at the handover phase as invaluable, with the drawings, data and lifecycle information as is saving the client time and money for the lifecycle of the building. The question is really whether the client sees the long-term benefit in explicitly demanding that the design and build team manage the “information” (drawings, schedules, specifications, bills of quantities, product data etc.) using a digital process to a recognised industry standard during the project? BIM is the new era of information management, it reduces waste, risk, effort, misunderstandings, delays, cost overruns and disputes. “Using BIM also means the client ends up with good quality, digital, searchable, accessible and accurate information, at the end of the project, to improve the future operations and facilities management,” Vaughan Harris continues. 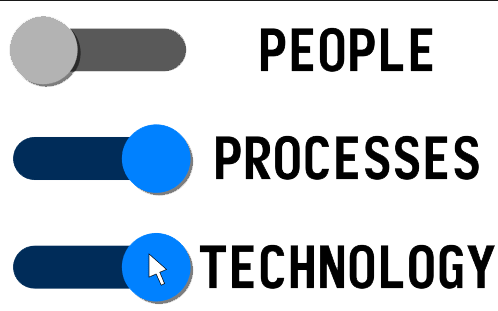 The requirements for BIM on a project are driven by two distinct business needs:To have the “information” required to get building projects designed and constructed in an efficient and effective way – Project Information Model (PIM) Requirements.To have the “information” required to maintain and operate the building in an efficient and effective way – Asset Information Model (AIM) Requirements. Rishworth says that the best case scenario is to have BIM compliance contractually stipulated across the board. One of the roles of project managers is to help the client get their appointments and contracts in place. If BIM is not a contractual requirement, then the team may try to avoid using it, and revert to traditional practices, which will then affect others ability to engage with BIM. Rishworth believes that controlling and monitoring the flow of information is one of the most important roles of the PM. He points to the combined knowledge of the Mace team – including designers, engineers, cost consultants and PMs – that have underlined the lack of co-ordination on BIM projects. “We have found that there is often nobody driving the flow of information and the general compliance of everybody involved in a project. Without this central point the project is set up for failure. Designers and engineers as well as contractors are crying out for someone to take charge. If the PM understands the processes and principles of BIM they can manage the information effectively and enforce the use of the processes, and track the use of the data across the board. Information flow is a key part of managing any project, and a PM frees up the other members of the team to concentrate on their speciality, updating their specific parts of the data without having to police the rest of the team,” he concludes. “Certainly there is need to understand the value of our information assets better. This involves having a data / digital strategy as well as the hardware and software to support it. We need to work in multiple platforms, our clients expect us to do this, it makes sense for us to do this,” concludes Rishworth.